Have you met a Sugar Daddy you like but he wants to keep the arrangement private? 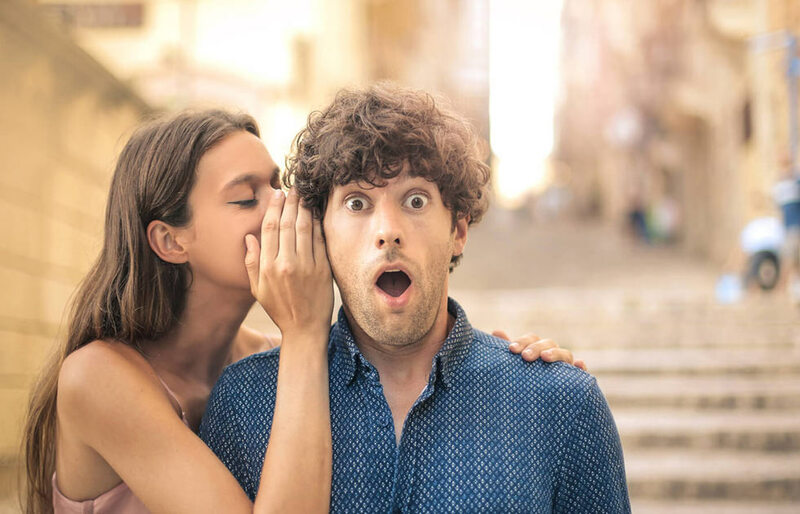 Discretion and privacy have always been a major part of sugar relationships and both the Sugar Daddy or Sugar Baby or allowed to say it if they are or are not comfortable with the world knowing about their sugar roles. However, keeping the arrangement doesn’t mean that you cannot enjoy your arrangement. In fact, it can the most exciting ways to approach a sugar relationship. As a Sugar Baby, you just need to keep a few tips in mind and you’ll be on your way to having a mutually beneficial, stress-free and long-term secret benefits relationship with your sugar partner from our Sugar Baby dating website. Consider how wonderful it can be to only meet your Sugar Daddy every once in a while or flying to meet him and still have all the perks associated to a Sugar arrangement. Listed below are some more benefits of being in a secret benefits sugar relationship. This is one of the biggest benefits of being in an arrangement where privacy is a major concern. You won’t have a person who is constantly interfering in your life and will have loads of free time to yourself. You can use this time to think what you want in life, come up with an aim and start pursuing it while also knowing that there’s someone who can provide for and take care of your needs. Apply what you’ve learned from your Sugar Daddy’s success and use this free time take steps to bring necessary enhancements to your life that will help you in the future. This is something you can experience with almost any Sugar Daddy but more so with someone who is not comfortable in dating locally. Because he has a family where he lives, and he obviously wants to keep things private, he will fly you to meet him. You’ll be his sugar baby companion as you go on adventures worldwide. He can take you to places you would’ve never had the chance of traveling to otherwise. As a Sugar Baby in a new country, you can do all sorts of things, including shopping and experiencing new cuisines and culture. When he is away or any business meetings you can enjoy a full-day spa session and be there to spend time with him when he comes home from a tiring meeting. A win-win situation and it all starts with our sugar baby dating website! Sugar Daddies are never clingy. If you’ve been with a younger guy who always thinks he is entitled to know where you are and what you are doing at every single second of the day, you know what we mean by clingy. This can be very annoying. A Sugar Daddy is not clingy because he doesn’t have the time to do so and this is not what signed up for. He doesn’t care what you do in your time away from him, you just have to be available when he wants you to be with him. You cannot cheat in an exclusive or regular relationship because it can end things in a second. With a NSA Sugar Daddy by your side, this situation would never happen because seeing someone else isn’t cheating in a Sugar relationship. He may also have 2 or 3 Sugar Babies. Most of the Sugar Daddies don’t care. However, there are many who want you exclusively for themselves which is why agreeing to terms is important at the start of a sugar relationship even when secret benefits are a part of it. As a younger woman, who is in the most fabulous time of her life what more would you want then a no strings attached relationship with a wealthy man? Sugar arrangements are pretty straightforward and place much more consideration on time well spent together than a regular mainstream relationship. Time is an asset nobody can gain back so having a no strings attached secret benefits relationship is a great way to enjoy it. You have a stress-free relationship and he spoils you with gifts, takes you to trips to exotic locations, what more could one ask for! Thank you for reading about the secret benefits Sugar Baby Dating Website experience. Have a great day!